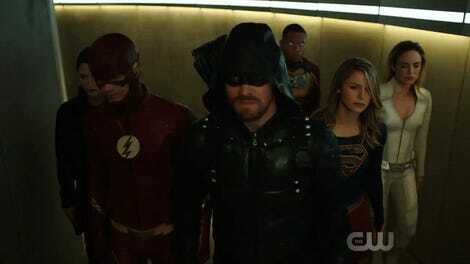 By the time The Flash’s midseason finale rolled around, Barry and Iris were already back from their honeymoon after finally tying the knot (and punching some Nazis) in Crisis on Earth-X. What we didn’t get to see though, was that it was cut short in a pretty hilarious fashion, thanks to Ralph Dibny... and Netflix? The CW has dropped a cute deleted scene from the finale, which sees Ralph attempt to engage in some severe Stranger Things binging while he has STAR Labs to himself. But, because he’s Ralph, instead of opening the Netflix app, he accidentally sets off an alarm that brings Barry—and Iris—zooming back to Central City. 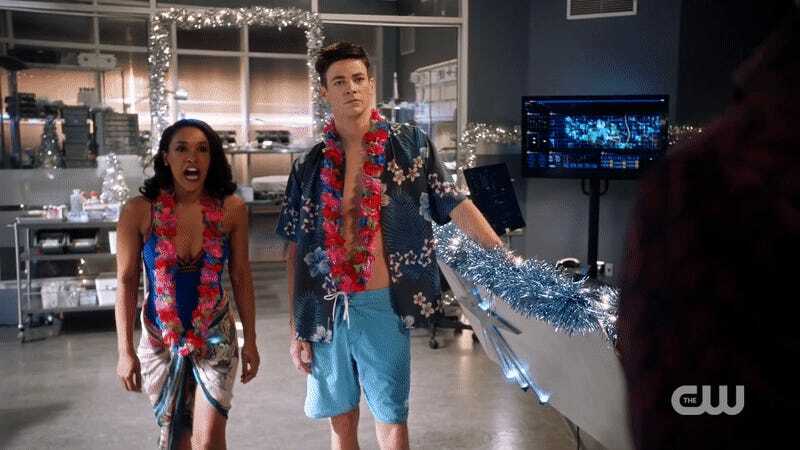 It’s all very funny (Iris’ barely controllable rage at being denied her “drinks with tiny, tiny little umbrellas in them” is delightful), but it begs the question: Why did Barry bring Iris back with him to check out the alarm? Why not zip away and leave her to relax on a warm beach while he sees what’s up, and then when he realizes it was just Ralph being a goof, zoom back to join her? Even in flip-flops, it wouldn’t have taken the fastest man alive that long. An interrupted wedding, interrupted post-Nazi-invasion nuptials, and now an interrupted honeymoon? The poor West-Allens can’t catch a break.